NOTE: The Robots Exclusion Protocol is used to prevent search engine robots (with the exception of NSW Caselaw Search) from indexing and providing direct links within search results pages to judicial decisions published on NSW Caselaw. the notice does not allow the reproduction of any headnote or summary, footnotes, comments, case lists, cross-references or other editorial material prepared by or for the Council of Law Reporting or other law report agency without the further authority of the Council or agency. the publication of material is required to be accurately reproduced in proper context and to be of an appropriate standard. Any enquiries regarding the copyright of judicial decisions should be referred to the originating jurisdiction. See our Contact Us page for details. Links must be presented in a way which fairly represents our role and our site. The context in which you insert the link must not give your visitors the impression that your site, or your organisation, is sponsored or endorsed by NSW Caselaw. The context of the link must not suggest that we have created any of your content, i.e. the source material must be clear, and acknowledgement of the NSW Caselaw clearly provided. 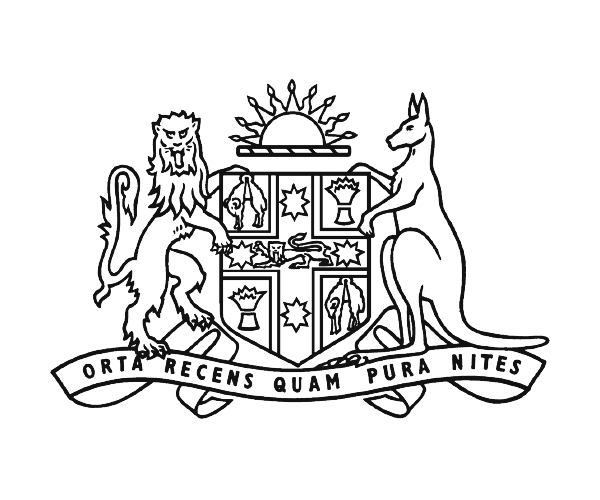 You must not reproduce any crests or logos of the courts and tribunals appearing on NSW Caselaw. Where appropriate, use the Robots Exclusion Protocol or noindex meta tags to exclude robots indexing pages providing hyperlinks to judicial decisions published on NSW Caselaw. Where it is inappropriate to exclude pages from search engine indexes, DO NOT use information identifying parties within the hyperlink text eg. names: REGINA v WHYTE  NSWCCA 343. It is recommended terms relating to reading the decision be used to create the hyperlink. The hyperlinks view decision and read decision will not appear in the search results pages if the criteria WHYTE is used and therefore reduces the visibility of the hyperlinks. Enquiries regarding linking to judicial decisions should be referred to the Caselaw Support Officer by telephone on 9230 8256. Every effort has been made to comply with suppression orders or statutory provisions prohibiting publication that may apply to judicial decisions published on NSW Caselaw. The onus remains on any person using material in the decision to ensure that the intended use of that material does not breach any such order or provision. Further enquiries may be directed to the Registry of the Court or Tribunal in which it was generated, see our Contact Us page for details. Decisions will generally be released to NSW Caselaw within 24 hours of delivery. Some types of decisions may take longer. For example, where a decision is read onto the record rather than handed down in written form, there will be a delay while a written version of the decision is prepared. it is a minor decision in a case that is continuing. The following courts and tribunals have different schedules to those detailed above. The Court of Appeal collection of decisions published from 1998 - 1988 contains only decisions that are held in the Law Courts Library's collection and have not be reported in the New South Wales Law Reports. Decisions of Presidential Members made in relation to industrial disputes where the Commission might make a statement, recommendation(s) and/or directions with a view to resolving the dispute, are not usually published on NSW Caselaw. All arbitrated decisions of Commissioner Members (decisions made after taking evidence from the parties) are published. The exception to this rule is decisions that are read onto the record - these will only be published where the matter involves a particular matter of interest, topicality or noteworthiness. All decisions of judges and commissioners and substantive adjudications by registrars are published. As some decisions will require publication of a number of images, these may take slightly longer than one (1) business day to be available. In addition, as some matters in Classes 1, 2, 3 and 8 may involve the giving of a decision on site; preparation and publication of such decisions may also involve some delay. The Local Court publishes a small selection of decisions that provide interpretations of legislation and legal principles relevant to criminal, civil and other matters determined in the Local Court. A selection of written decisions made by NCAT are published on NSW Caselaw. The NCAT President or Divisional Heads select decisions for publication that are likely to be of public interest and which are useful as an educational tool. For more information about the publication of reasons for decisions, read NCAT Policy - Publishing Reasons for Decisions (PDF, 58kB). The District Court commenced publishing decisions via NSW Caselaw in September 2006. The decision to publish is at the discretion of each individual judge. If a decision has not been published and you wish to find out if it will become available on NSW Caselaw, please contact the appropriate District Court registry. Decisions or particular case details may be removed from NSW Caselaw from time to time. For example, an earlier decision mentioning the accused person may be removed from NSW Caselaw while the accused person is being tried or retried by a jury. Once the jury trial is finished the decision is then returned to NSW Caselaw. If for some other reason a judgment needs to be removed from NSW Caselaw, a written request should be made to the registrar of the court, identifying the material sought to be removed and the reason for the removal, see our Contact Us page for details. The judge who wrote the decision will consider the request. If the judge is no longer on the bench, the head of jurisdiction will consider the request. A written response will be provided. Some decisions are either temporarily unavailable due to further proceedings or permanently restricted from publication on NSW Caselaw. Notation: The text of this decision has been restricted.